The Heart Chakra, Anahata: The fourth of seven Chakras, located right smack dab in the middle of the body and responsible for integrating the matter and the spirit in our lives. Those ancient Sanskrit people must have known a thing or two back in the fourth Century BCE for people are still finding wisdom in their tales foretold. Legend goes that the Heart Chakra is responsible for integrating the 3 Chakras underneath it (Root, Sacral and Solar Plexus), with the 3 Chakras above it (Throat, Third Eye and Crown). It is a conciliator; a place where our male energy can meet with our female energy and become one. The earth meets the heaven for a little celestial celebration. The analogy of love is not lost on it either and the Heart Chakra will be at its optimum when the giving and receiving of love, forgiveness, and tenderness is in balance. It is the only Chakra to have lateral components and it is fitting that those arms go with the giving and receiving of love. Playing alongside love, in perfect harmony, is the touch of the human experience and the interplay of that touch is a central tenet of Anahata. 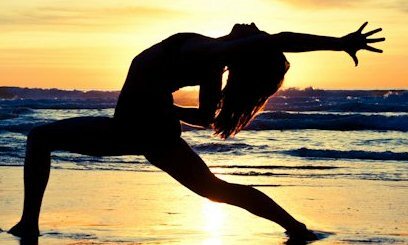 The spiritual components of Yoga have always been a bit of a leap for me, just as believing in any standardized set of ‘beliefs’ have been. I am skeptical by nature and Yoga is missing a lot of the scientific method for sure, however some of the teachings, some of the ways of being, just resonate with me. They make sense, the way that eating whole foods and exercising makes sense. I don’t need to read the research to fully understand that the ancient so-called myths of balancing the Heart Chakra make my body, my mind, and my life, healthier. Every single one of these made me pause and reflect a bit, but the “Be Love”, really made me stop and think. Digging deeper into what was actually meant by number four on the list, the article went on to say, that the ‘Be Love’ piece was actually loving yourself and not accepting depletion of one’s self in exchange for some sort of perceived greater good. Not being a martyr. Not looking for validation outside of that own self-love. Wow, the ‘aha’ moment, when you realize that the love that you have been consciously surrounding yourself with – and in – all these years may have been being blocked. By. Me. This is such a powerful quote for me and one that resonates to the very core of my being. It seems to provide evidence that my “Be Love” piece was highly charged with others’ energy and not so adequately filled with my own. These are hard words to say out loud. Like the main character in Eat, Pray, Love, I was becoming frenetic with other people’s energy, leaving me sapped and longing for more. “I am the planet’s most affectionate life-form (something like a cross between a golden retriever and a barnacle)” (Gilbert) and in recent years I have showered that affection on many people in my life, even when they were less than receptive to it. Who knew that this journey, into the painfully quiet abyss, toying with loneliness and despair at times, would actually form the catalyst for the giving and receiving of love, in nurturing and sustaining amounts? That my seemingly overflowing heart, full of gratitude and love to all of the wonderful people in my life would get stronger and more grounded by a slow and methodical withdrawal into myself? Thus the lightness in the dark and the darkness in the light, and now, my Heart Chakra is illuminated (and as always, a work-in-progress) continually dancing between the great comfort in being surrounded with my friends, alongside the growing comfort of being totally enveloped by myself. Who better to spend time with, right? This entry was posted in Antecdotal. Bookmark the permalink.